» Traditional Japanese Pattern wallpaper. » Diameter of pattern size is indicated on the photo. » Fire Retardant Euro Class B. » Washable by Soap and diluted acid. » 300 grams thickness, durable for public area. » No Heavy metal or any toxic in ink, safety to health. » Produced from FSC paper, care for our environment. Our wallpaper is ready made design, customized size to fit your space. It is adjustable design to be the balance with your place. We can make it bigger, smaller, change some color or add some more elements to make it look good. We carry no stock, all products are newly produced for each particular wall in order to make sure that it perfect to your area. 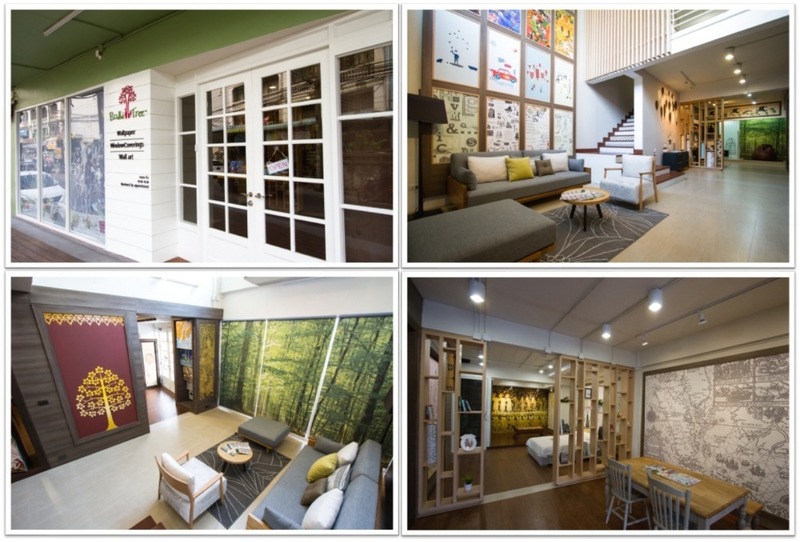 It's not just the wallpaper, it's your personalize wall design. If you are designer or project owner, who has your own design on hand, we can print it out as wallpaper for you. However, your artwork must be prepared at actual size of your wall. Please kindly contact us for more details. You deserve not only a unique design, but also the superior quality of 100% green material and production process to ensure your health and safety. We offer variety of wallpaper based to fit your usage. All of them are world class quality standard. 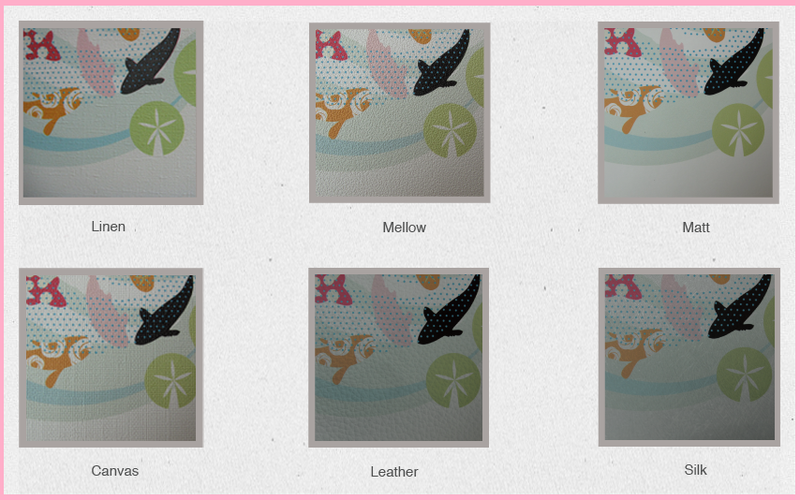 » original paper based wallpaper is good for bright & colorful design. » vinyl paper-backing is economy range, durable usage for general purpose area. » vinyl fabric-backing is good for high traffic area, durable usage, good for commercial area. » vinyl non-woven backing is premium range, durable usage for special area. Our wallpaper is 130 cm. width, it’s much wider than traditional size at 53 cm. Therefore, you will get less connecting line and less waste than traditional one. Bodhi Tree Decor is the design firm and also manufacturer of wall accents for commercial and residential interiors. The company is registered in 2010 and launched to the market in April 2011. With its breakthrough wallpaper concept & design, the company is widely known and recognized by interior firms and home owners. 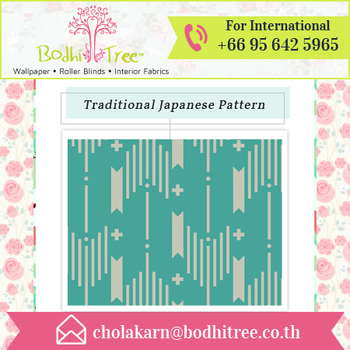 Design professionals around the world use Bodhi Tree wallpaper collection of more than 1000 wall story designs to create expressive interior environments. 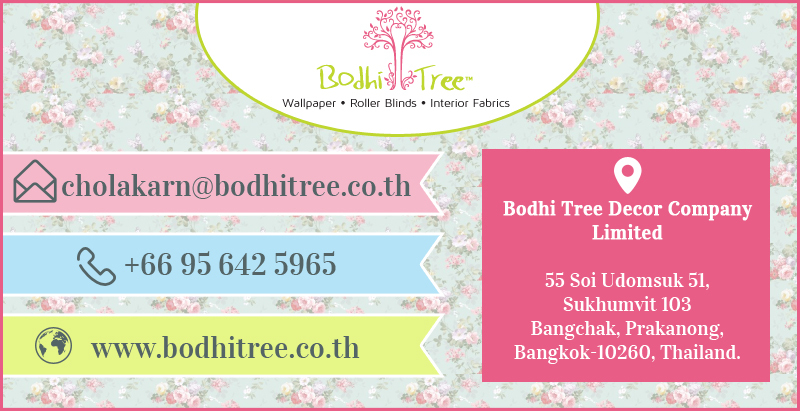 In 2014, Bodhi Tree expands product line to custom printed roller blind, upholstery and all interior fabrics to fulfilled customers’ experience. Customers’ design are also welcome. Based in Bangkok, Thailand and Export to the world. Lifestyle and preference are solely subjected to each persona, thus, home decoration is something that truly reflect your unique personality and character. With the thorough understanding in your desires, we’ve created the extraordinary wallpaper which does more than just covering the wall, but also enhancing your dwelling with sensational and emotional touches throughout your living space.